Summary The "Savske elektrarne Ljubljana d.o.o." company are very interested to produce more electricity from renewable energy sources. The company has installed a 77.4 kW PV-system to generate electric energy additional to the existing hydro power plant. 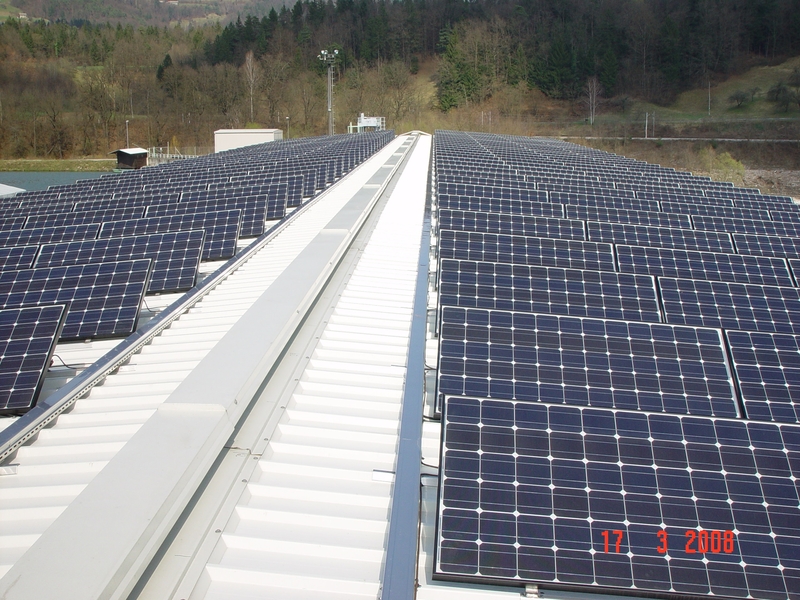 The 360 PV-modules were mounted on the flat roof of the hydro power plant Vrhovo. The PV-system were installed in an angel of 30° and furthermore the deviation from the optimal south-direction is 30° in south-west direction. This modules were fixed on a aluminum construction structure, which is especially developed by the company. Furthermore the communication, supervision and data acquisition were realized online with a Sunny Web Box unit.